Disney’s Club Penguin is described as a massive multiplayer community like no other, but what is it, really? 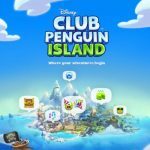 This game, which you can play on both Android and iOS devices, allows you to do a whole lot of things, such as exploring the island, joining the latest parties, chatting and interacting with your friends, adopting pet puffles, caring for them and playing games. 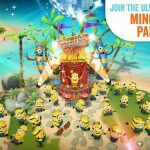 Yes, it’s a perfect mobile game for the younger set, but we’re sure a lot of adults play it too. So regardless if you’re checking this out for yourself or for your kids, we advise you to try the following Club Penguin cheats, tips and tricks and grab some neat new items. Yes, there is a very wide variety of codes you can use to redeem certain in-game items, and the great thing about this is that you don’t have to be a member of Club Penguin itself. You can only use the codes once per account, so do keep that in mind in case you’re trying to hoard these items – you can’t. So without further ado, these codes include D23EXP11 (Purple Cross-hatched Hoodie), MMCODE12 (Guitar Shirt), FREEHOOD (UK Hoodie), UFOMASKE (Alien Mask), UFOANZUG (Alien Costume), FANTASMA (Ghost Costume), PRESENTE (Bunch of Balloons), SURPRISE (Tree Topper Hat), STAYSAFE (Laptop), FILMSTAR (Popcorn Hand Item), DISNEYMU (MU Percy Costume), BARONFEL (Tie Fighter Pilot Costume), and BEARCUBS (Bear Costume). These are just a few of the available codes, and there are a lot more out there, in case you’re wondering! This is one of the many items you can score in Club Penguin, and if you want to get this for yourself, head to the Book Room, click on the bookshelf, open the Rockhopper and the Stowaway book, and go right to the end of the book by selecting the final chapter. Click on the bracelet and it’s all yours. 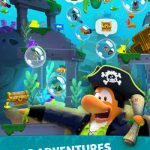 In order to enter the Captain’s Quarters, you’ll need the Rockhopper’s Key. Go to the Book Room, click on the Book Shelf, and open the Journal of Captain Rockhopper. Again, you want to go right to the end of the book like you did earlier, but this time, flip through all of that chapter’s pages in order to get the key. 4. What’s Inside Penguin Style For Feb. 2015? There are a few nice items you can claim by checking Penguin Style for February 2015. Go to Page 22 and click on the left fin on the purple penguin for a Red Viking Helmet. On the same page, open and close the Red Viking Helmet mini-page four times and you’ll get a Blue Viking Helmet. On page 32, click on the Tie Fighter outfit to get Vintage Boots, and on page 35, click on the Posh Wig for a Jade Necklace. 5. Where Can You Find The Purple Headphone Pin? Go to the Dance Club in order to find this item. You’ll see a set of purple headphones near the dance floor – click on it so you can claim the pin.